The year 2017 marks the 150th anniversary of the Confederation of Canada, also known as Canada 150. What better way to honour Canada's sesquicentennial than exploring 150 years of cultural heritage through the senses? 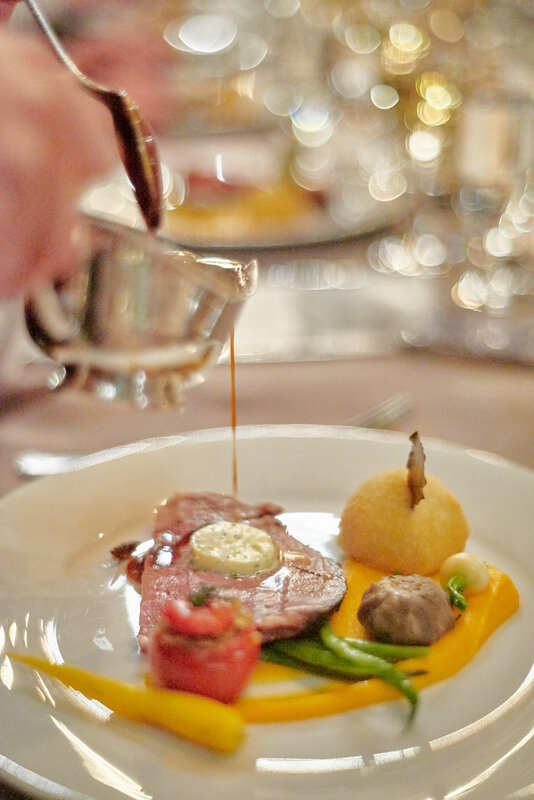 Fairmont Hotels & Resorts launched the Canada 150 Heritage Dinner Series to celebrate the anniversary and highlight its devotion to the culinary arts over the years. 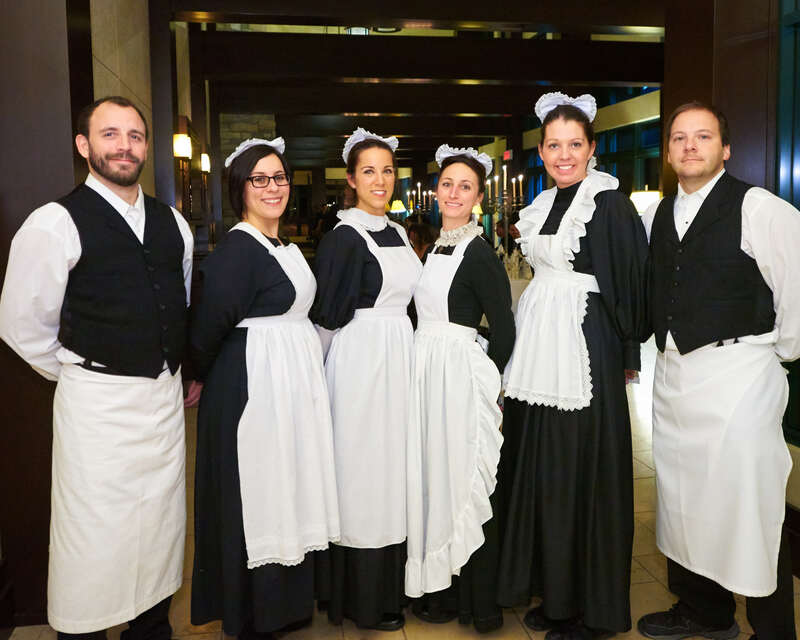 Staying true to their reputation for hosting the hottest soirées, The Canada 150 Heritage Dinner Series features era-inspired feasts and transports guests into the late 19th and early 20th centuries. 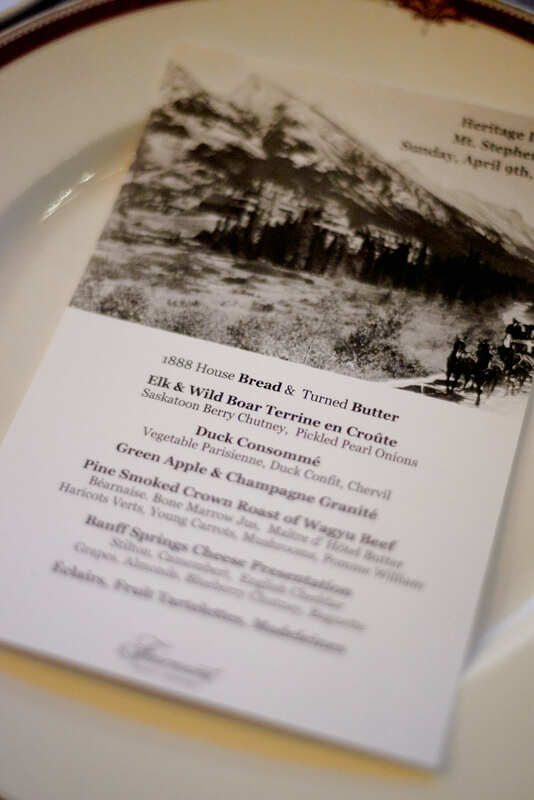 To-date, three Heritage Dinners have taken place at Fairmont Le Château Montebello, Fairmont Le Château Frontenac, and Fairmont Banff Springs, with five more planned throughout 2017. Each of these three hotels presented a one-of-a-kind experience to honour its region’s unique history and offerings, and the dinners still to come promise to do the same. These special dinners unite Canadians and global visitors alike with Canada's traditional legacies of food. Menus showcase extraordinary dishes curated from menus past, such as the Tomato Essence with Basil Pearls and Pink Peppercorns amuses-bouche taken from Fairmont Le Château Frontenac’s Halloween Supper Dance menu of 1926, the beer braised pork osso bucco shank at Fairmont Le Château Montebello which was inspired by the Papineau family’s dinners in the late 1800s—or the Pine Smoked Crown Roast of Waygu with béarnaise, and bone marrow jus, carrots, haricots verts, mushrooms and pomme millian at Fairmont Banff Springs, an enchanting spin on Canadian mountain cuisine during the early 1900s. Fairmont Hotels & Resorts has always been dedicated to the culinary world and recognized The Canada 150 Heritage Dinner Series as the perfect way to pay homage to the land and its history by curating menus from the past and giving them a spin for the present. 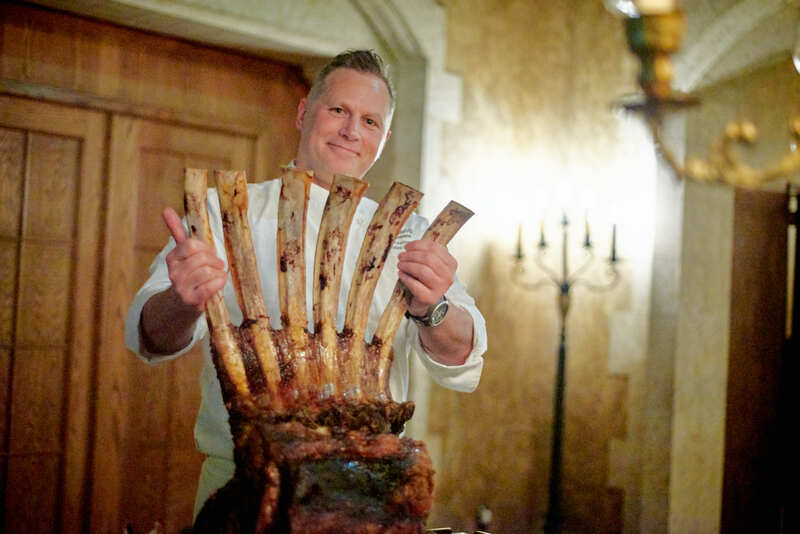 Chef Tim Wasylko from Fairmont Le Château Montebello touts how they bought local produce long before it became a trend. He’ll never forget how farmer’s showed up selling their freshly pickled produce, dirt still caked on their boots. For Wasylko, creating a dinner to honour the region’s delicacies embodies the reason he pursued the culinary arts. He feels food should be associated with memories and emotion, and wants his dishes to represent everything that is Quebec. 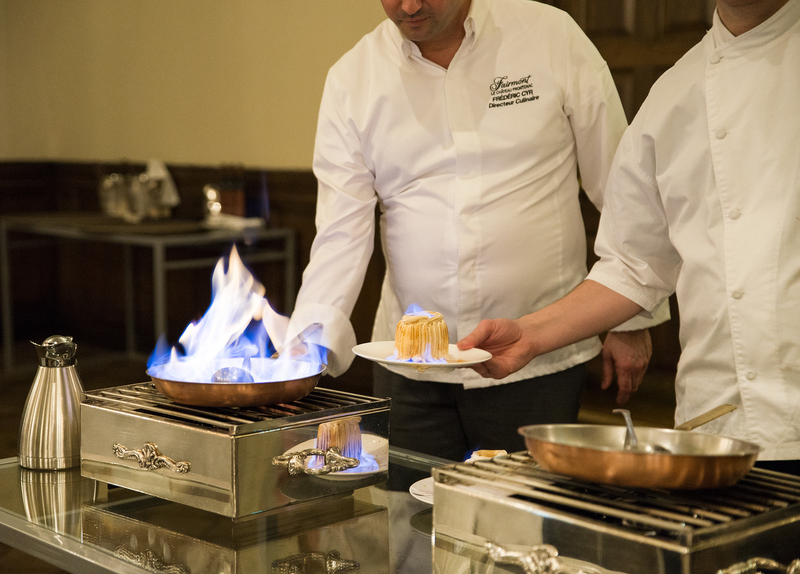 Frédéric Cyr of Fairmont Le Château Frontenac shares a similar philosophy, having followed his father’s footsteps in becoming a chef. He knows that cuisine provides windows onto the past, and serve to celebrate and remind us of good times—and yet he continuously strives to tweak dishes to evolve to their fullest potential today. Fairmont Banff Springs chef jW Foster ceaselessly searches for ways to incorporate sustainable, local, and organic agriculture—he even partnered with a bee farmer to have beehives installed on the hotel’s roof. Guests can rest assured their honey is local—so local in fact, they can help purvey it themselves. One case in point was noted at Fairmont Le Château Frontenac's dinner, where Chef Fredric Cyr sourced oysters from a supplier that was the same one that would have been used 100 years ago. “The Malpec Bay oysters from the New Year’s dinner of 1906 were the same type we used for this dinner—111 years later,” Cyr explained. “Why? Because they taste so good—some reputations last over a century!” What better way to showcase Canada’s delectable—and sustainable cuisine? 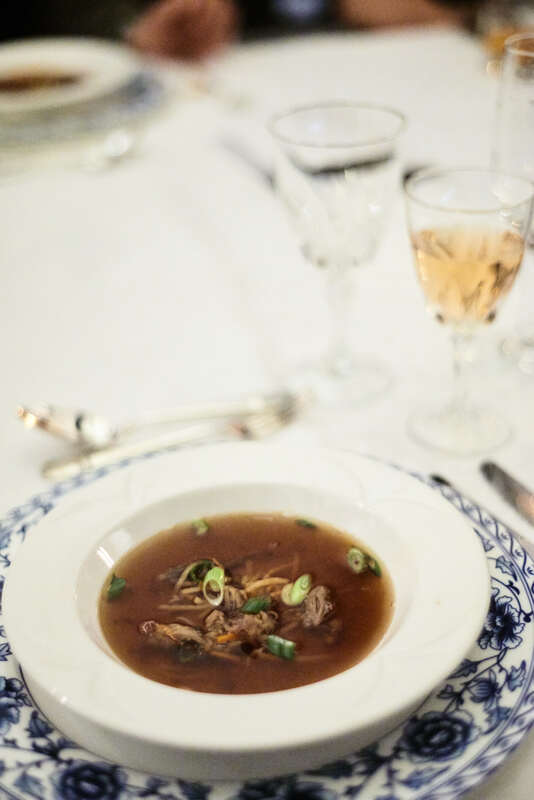 Guests of the dinner at Fairmont Le Château Frontenac relished traditionally sourced dishes, like those oysters, while gaining new appreciation for the food and beverages that have thrived throughout time and have come to define the region. Prior to serving the main course, the Fairmont Hotel chefs at each dinner were introduced and given an opportunity to speak to their dishes. It's a special treat for guests to hear how Chef jW Foster from The Fairmont Banff Springs created the Elk and Wild Boar Terrine en Croute with Saskatoon Berry Chutney and Pickled Pearl Onions, what goes into the making of Lobster with Royal Truffle Butter by Chef Cyr from Fairmont Le Château Frontenac, or to hear the story behind Fairmont Le Château Montebello’s chef Tim Wasylko’s Truite en Croûte—a trout fillet crusted with puff pastry served with a fish consommé. Each evening's charm and allure was captured on film. 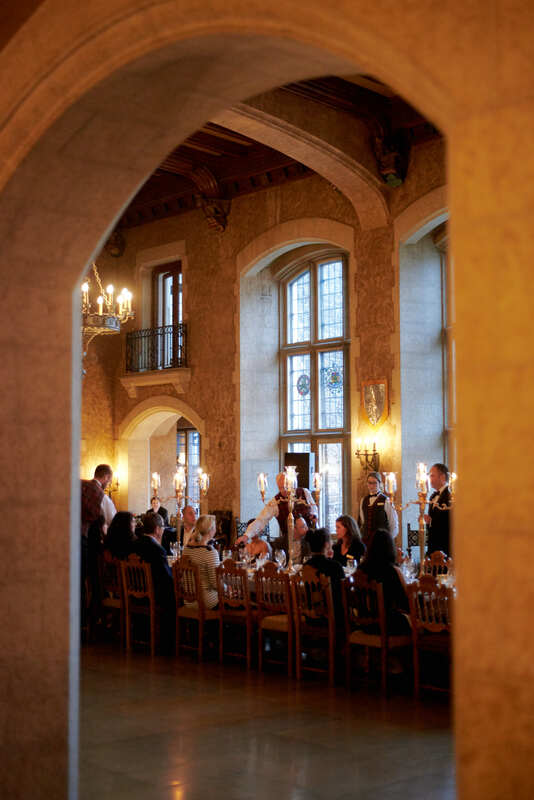 Step into Fairmont Le Château Frontenac’s divine soirée with this clip, then into Fairmont Le Château Montebello’s exquisite evening seen in this reel—and finally, don’t miss the elegance found at the Fairmont Banff Springs as portrayed in this video. 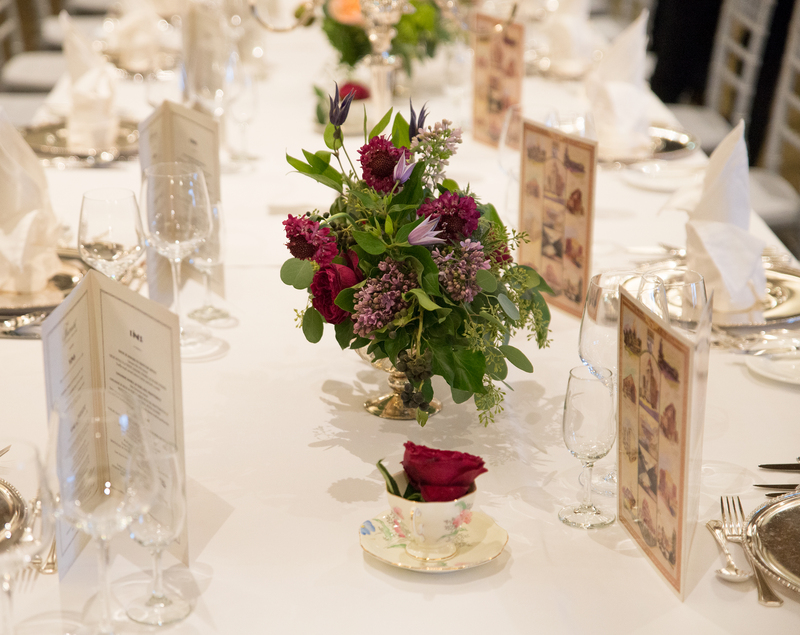 Flutes were raised, bubbly enjoyed, and a timeless camaraderie formed for all in attendance at these Heritage Dinners. 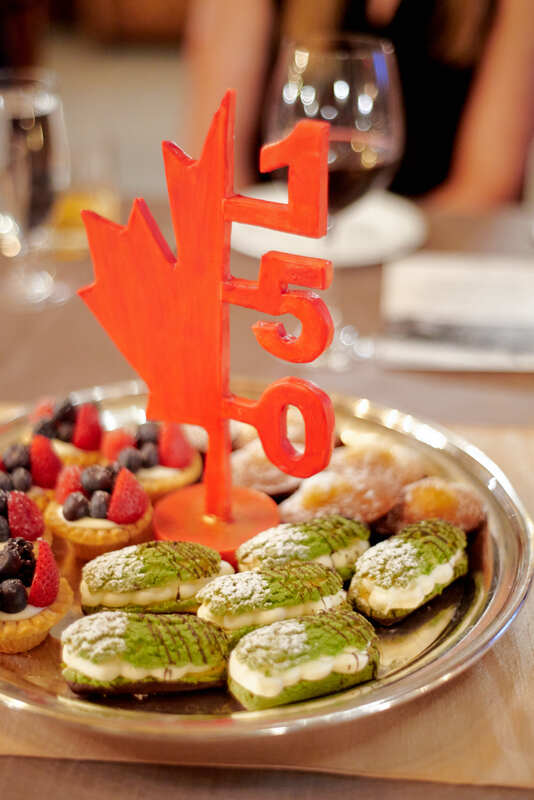 Timelines blurred, history resurrected as a feast for the senses, and guests cherished the regional culture and flavors in celebration of Canada 150. Fairmont Hotels invites you to learn more about the Canada 150 Heritage Dinner Series and to celebrate the anniversary with style, while toasting to the rich cultural history from coast to coast. Courtney Lochner is a writer based out of Chicago but frequently escaping to Europe. Passionate for all things food, wine and travel, her work has been published in magazines like Glamour Magazine, Inspirato, and Runway Live, and her short story became a film produced by Moxie Pictures.